At Yorba Linda Auto Service in Placentia we provide our customers with complete car care. If you are looking for car tires or light truck tires we have a selection for you. 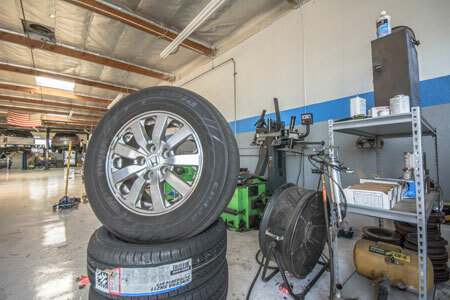 We have competitive pricing for our customers and will provide the service you would get at any tire shop in Placentia. We want our customers to know that if they have any issues with their vehicle, we are the auto service shop for you. Whether you're looking for popular brand tires such as BF Goodrich, Michelin, Yokohama, Fuzion, Bridgestone, Good Year or just a great deal on a quality tire, we have everything to accommodate your needs. For our Monthly Tire Sales Specials in Placentia, give us a call or contact us. We are happy to help our customers who are looking for tires in Placentia and surrounding areas.